It only took me 34 years to visit my family’s ancestral homeland of Ireland. 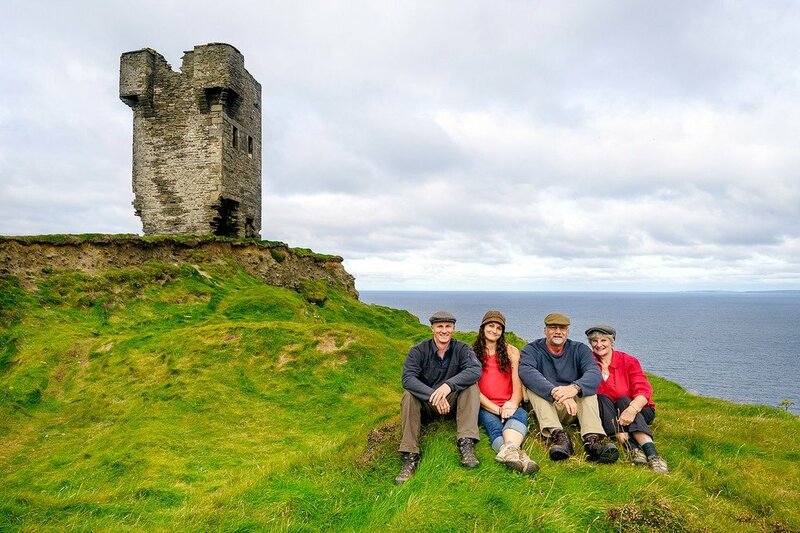 Joined by my parents & sister, we traveled to the Emerald Isle to research our history. Like most Americans, I’m a mutt. My family immigrated to the United States from Ireland, Poland, Germany and England. Mostly from Ireland though — including my paternal grandmother. Concentrating on the side of the family with the most recent links to Ireland, we decided to visit the area where my grandmother was born. 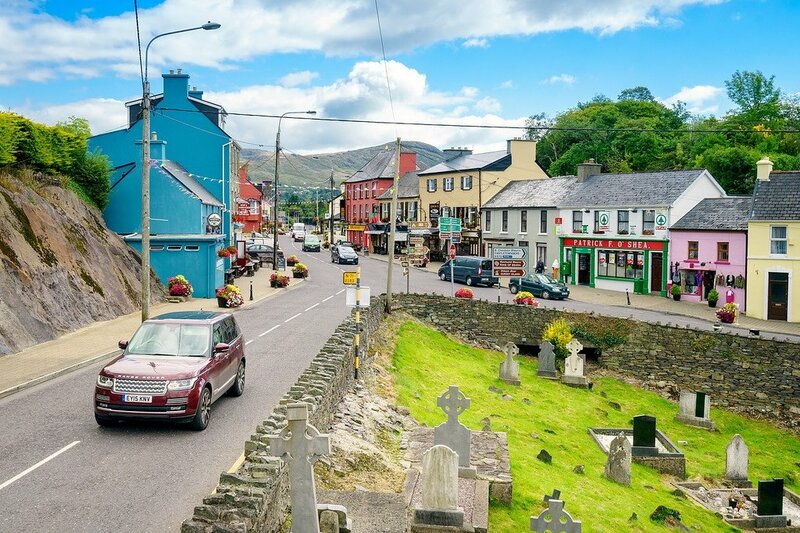 A small south-western coastal village called Glengarriff in County Cork. 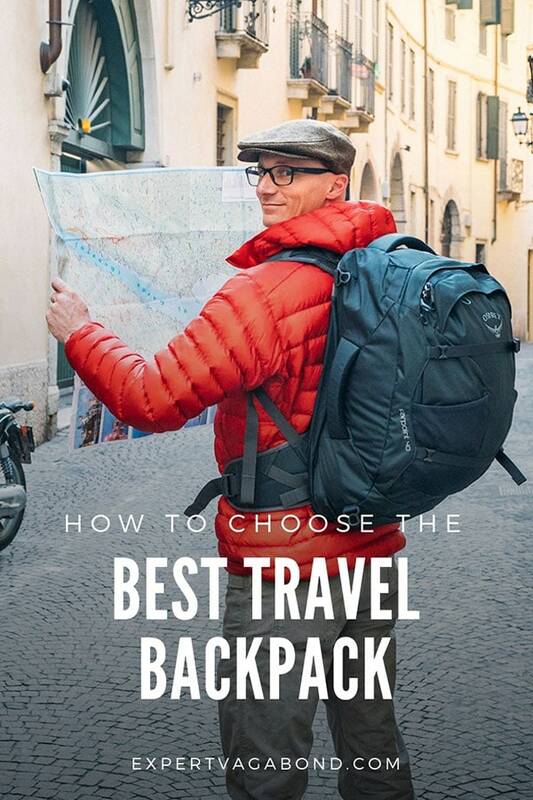 I was especially excited for this journey, as it was the first time that my family members were going to travel with me internationally, and years since we’d traveled together for any kind of road trip. Woohoo! 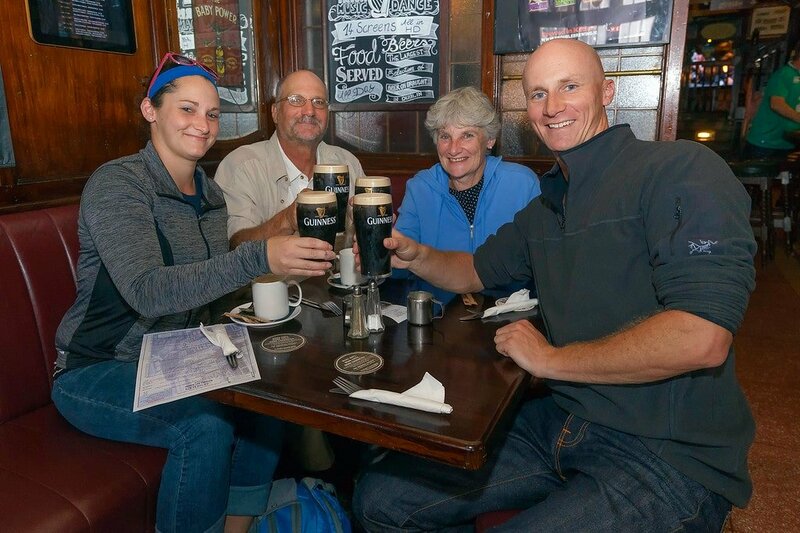 The first order of business once we arrived in Dublin after checking into the Trinity City Hotel was to grab a large Irish breakfast and wash it down with a few pints of Guinness at O’Neil’s Bar & Restaurant. At 10am of course. We were off to a good start. Hey, isn’t that what you’re supposed to do in Ireland? We spent the rest of the day exploring Dublin by bus and on foot. Everyone was running on little sleep due to the intercontinental flight the night before, so our activities were kept to a minimum. 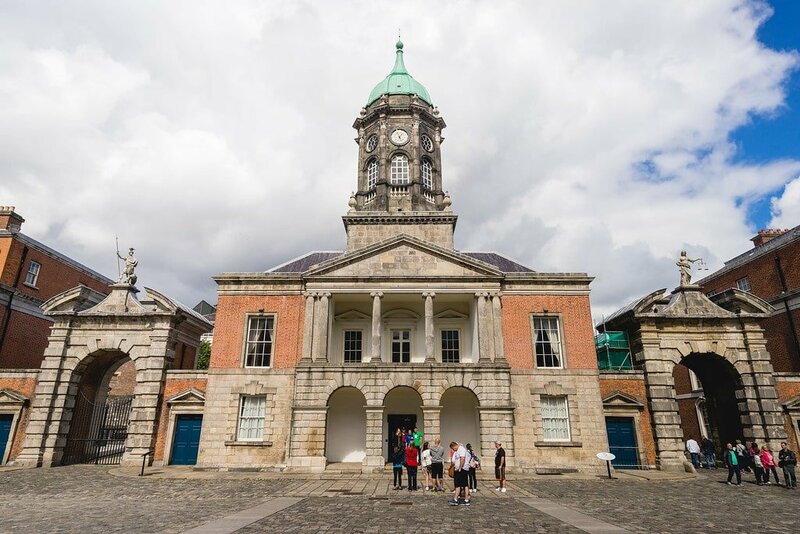 Dublin Castle was originally built as a defensive structure for the city of Dublin, later serving as residence for the Lord Lieutenant of Ireland who governed for the King of England. These days it’s used for presidential inaugurations and state functions. 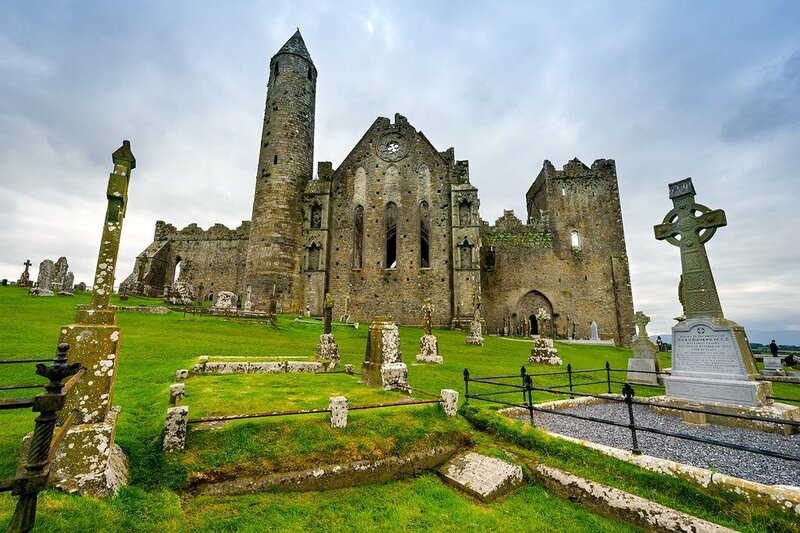 Saint Patrick’s Cathedral is Ireland’s largest church, founded back in 1191. Jonathan Swift (author of Gulliver’s Travels) was once the dean, and is currently buried here. 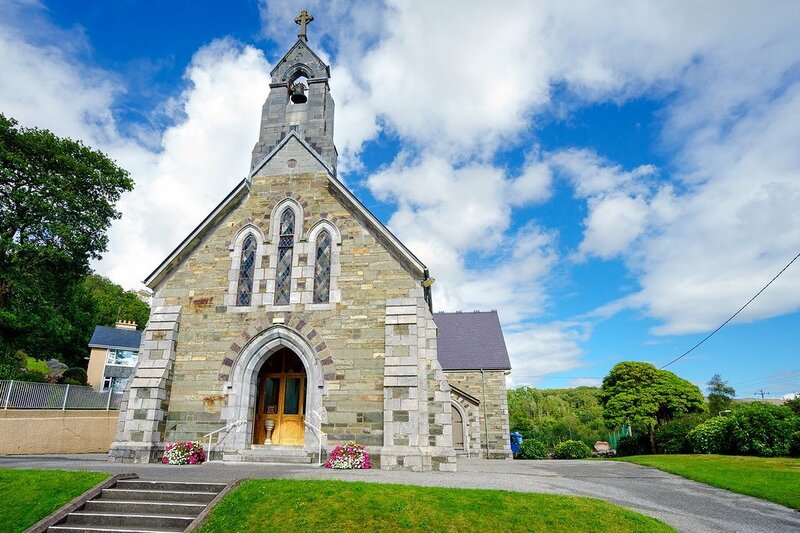 Dublin actually has two cathedrals belonging to the Church of Ireland, the other being Christ Church Cathedral. Most people who visit Dublin go to the Jameson Distillery, which is just a showroom for tourists. The only working Irish Whiskey distillery in Dublin is called Teeling. We watched the whiskey process from start to finish and tasted the difference between single grain, single malt, and age. Now that we’d experienced a taste of Dublin, it was time to embark on the core mission of this trip. Searching for any information we could find about my grandmother’s life in Ireland before she sailed to Boston in 1930. 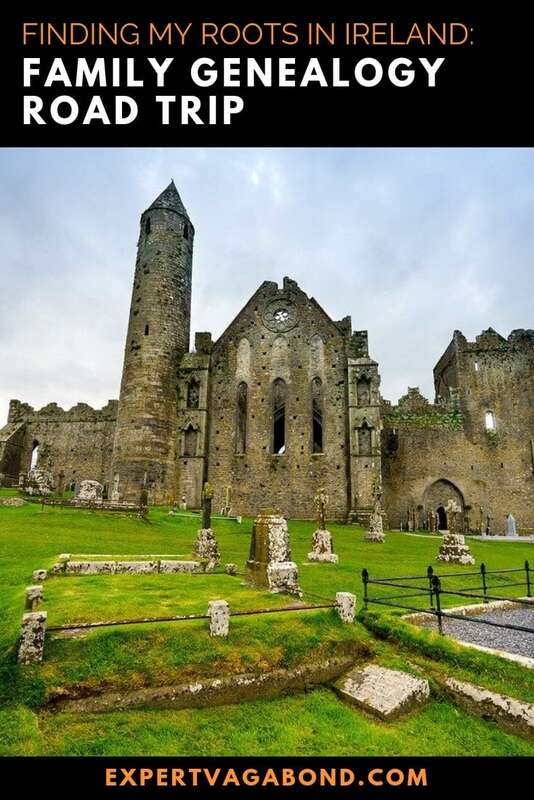 Prior to traveling to Ireland, my sister Lindsay had done some research on Ancestry.com which helped us track down basic United States immigration records for my grandmother. To expand on those, we also enlisted the services of Eneclann, a genealogy research company. They provided a detailed report based on Irish census information with all kinds of interesting facts we’d never known before! Like that we came from a family of fishermen and farmers. Armed with this new knowledge we rented a car and began driving southwest across Ireland on the M8 through the town of Cashel and the city of Cork stopping at famous landmarks along the way. 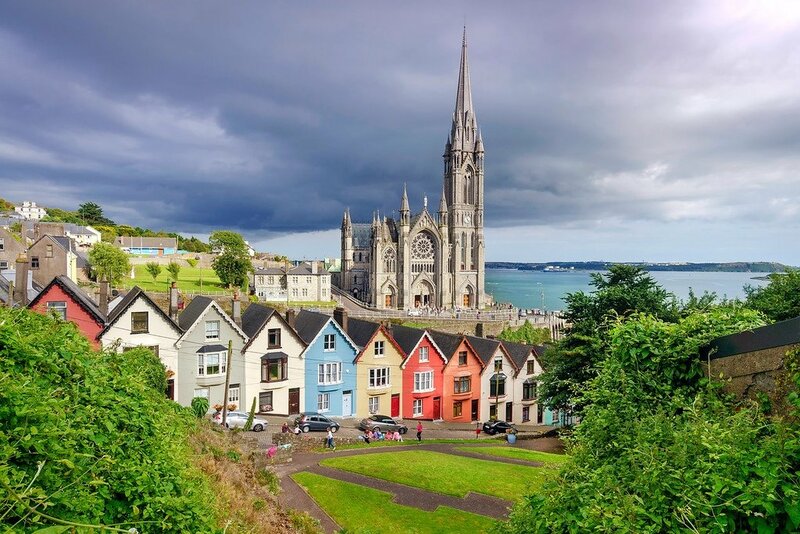 One such landmark is the port town of Cobh, formerly Queenstown, where 2.5 million of the six million Irish people who emigrated to North America left from. Including my grandmother in 1930! 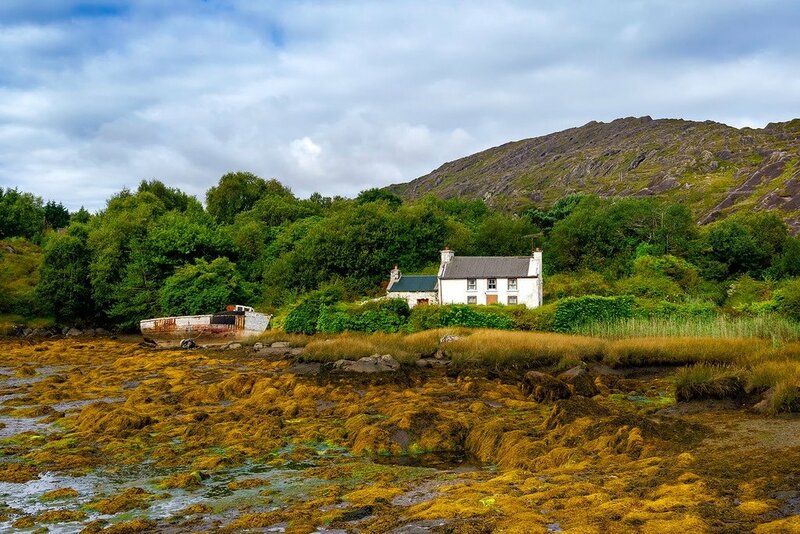 Arriving in Glengarriff after navigating some of Ireland’s notoriously narrow roads, we checked into a quaint local bed & breakfast called Carraig Dubh House perched on a hillside overlooking the town. It was here we met the cheery owners Paudie & Kathleen. They would be the key to unlocking the mysteries of our quest. 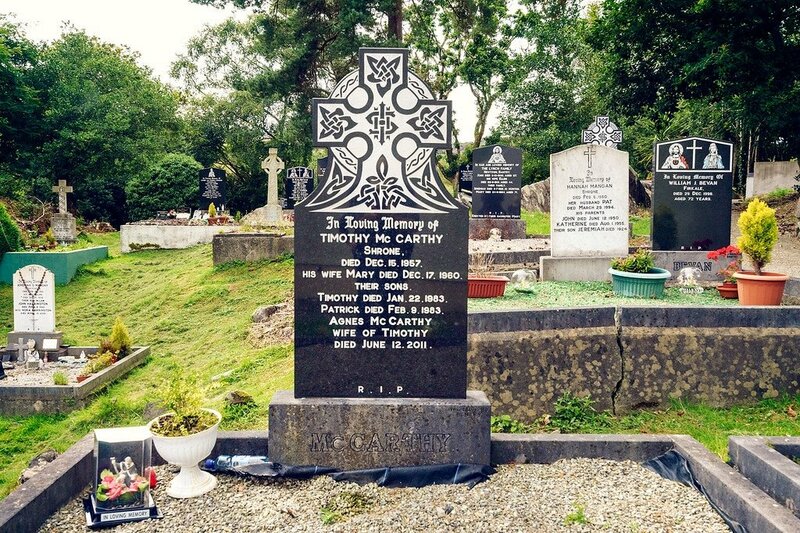 We explained that we were in Glengarriff as part of a genealogy trip, and asked if they might remember my grandmother or her family. Of course they did! In a small town of 800 people, everyone knows everyone. 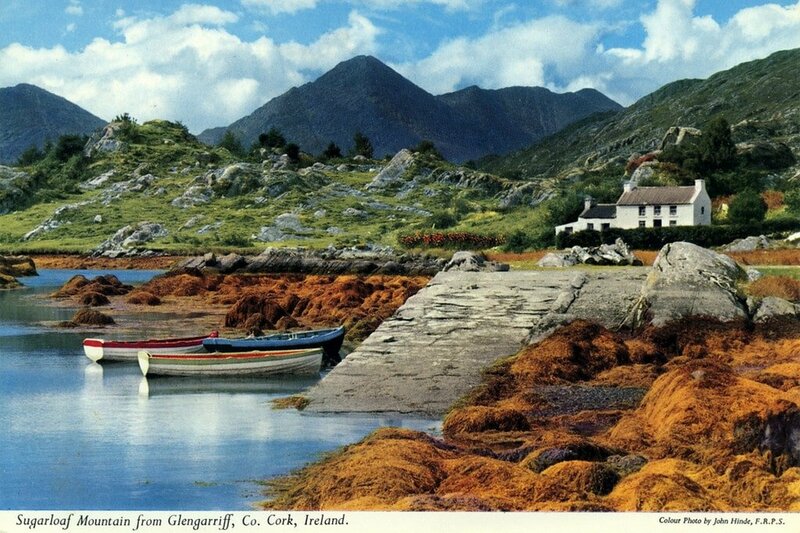 My aunt had given us an old postcard of Glengarriff from when she visited a while back. It was said to feature the McCarthy family home that my grandmother grew up in. 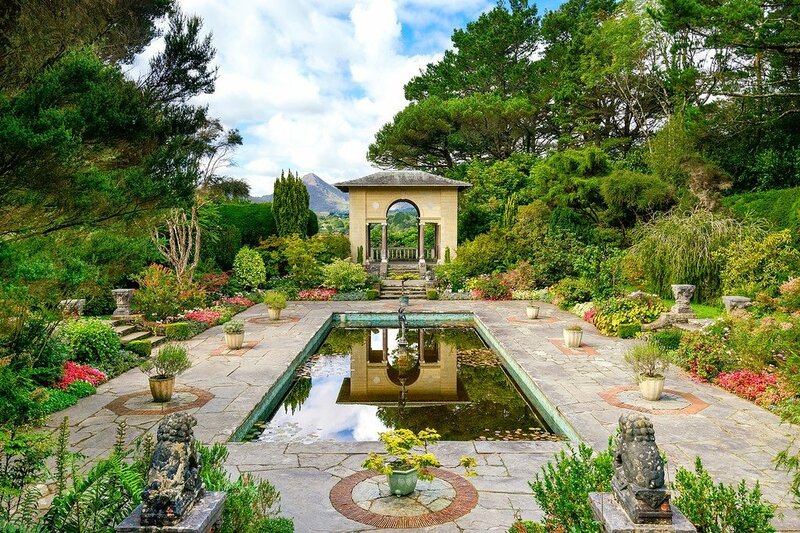 The traditional 3-room Irish home made of stone is located at a place called Ellen’s Rock, a famous spot for photos when Glengarriff was a popular tourist attraction and ocean cruise destination in the early part of the century. We jumped in the car and headed over to see it for ourselves. Sitting on the edge of Bantry Bay, the building has seen better days yet was still standing. Turns out it’s owned by my father’s cousin Teddy, a long-lost family member none of us had ever met before. Our next mission? Track down Teddy and buy him a beer! Everything seemed to be falling into place perfectly. 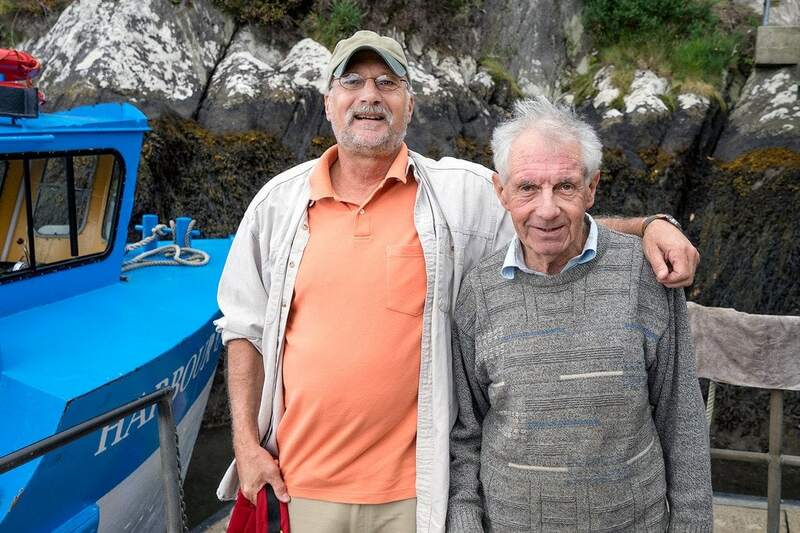 Teddy keeps the McCarthy family tradition of fishing and sailing alive as a boat captain for the Harbour Queen Ferry. They take tourists out on fishing trips and ferry rides to the beautiful Garnish Island Gardens. We went down to the docks, but unfortunately just missed him, so we decided to ride the ferry out to Garnish Island and explore the gardens. Motoring past happy seals sunbathing on rocks. Concluding the island excursion, we surprised Teddy with an unexpected family visit. He seemed a bit taken aback, and not sure how to respond. Who are these strangers from the United States claiming to be relatives? 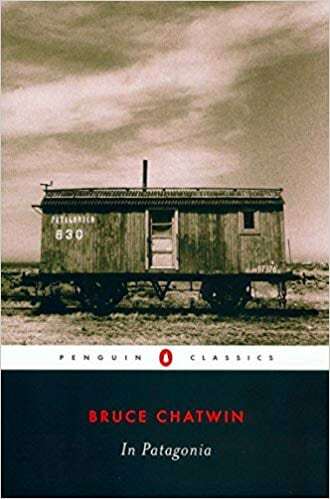 We made plans to meet later that evening at The Cottage Bar, a favorite local watering hole in town. Hopefully we would all get to know each other a bit better over a few pints of Guinness. Teddy brought his wife Abigail to join us at the bar. 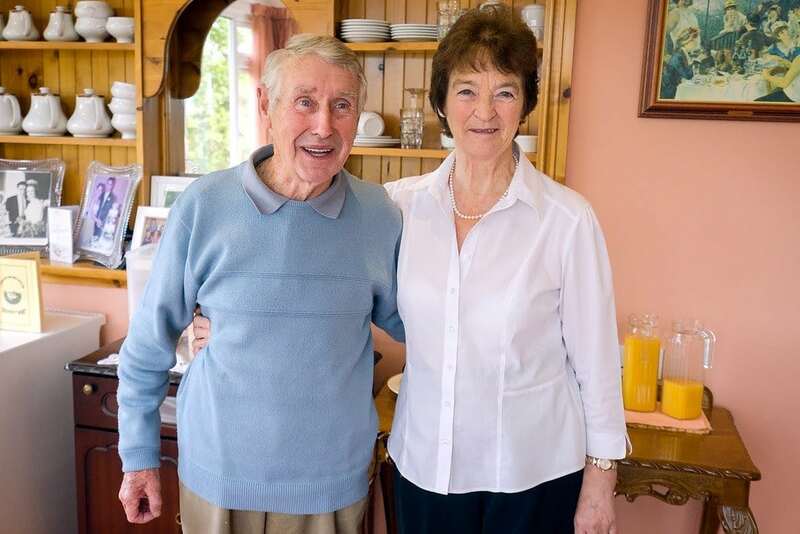 Luckily she acted as a translator too, his thick Irish accent difficult for us Yankees to understand! We learned that Teddy likes to work on old boats, just as my father does. My great grandfather Timothy was apparently a fisherman & boatman. He boasted the most groomed mustache in town, and was always seen wearing his favorite bright white pea cap. My sister Lindsay apparently looks just like Teddy’s daughter Marie. One mystery we never solved is why my grandmother sailed from Ireland to the United States on her own when she was only 17 years old. Everyone we spoke with seemed to remember her siblings, but almost nothing about her. The town church and local cemetery was our next stop, paying respect at my great grandfather’s grave and chatting with the local priest. My grandmother’s birth was never registered in official county documents, but we did have her baptismal record from the church. Father Michael Moynihan explained to us over coffee that this was common in those days, as many people from the countryside didn’t bother to travel to the city to register their children so soon after birth, and often forgot to later. 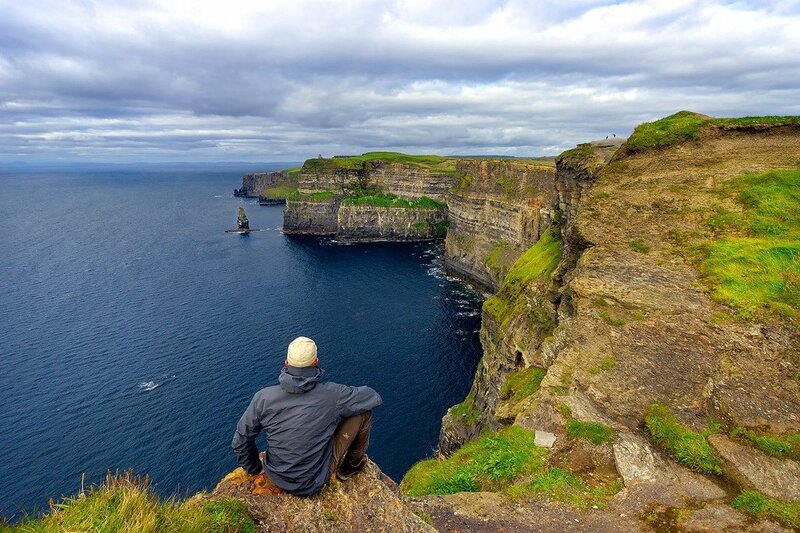 Overwhelmed with all that we had learned in just a few days, it was time to say our goodbyes and continue our Irish road trip up the West coast along the Wild Atlantic Way. The complete route stretches 2,500km (1553 miles), however we were driving the southern section up through Dingle and on to Galway before heading back across the country to the capital. I’ll go into more detail in future posts, but the highlights for me were Slea Head Drive and the Cliffs of Moher. 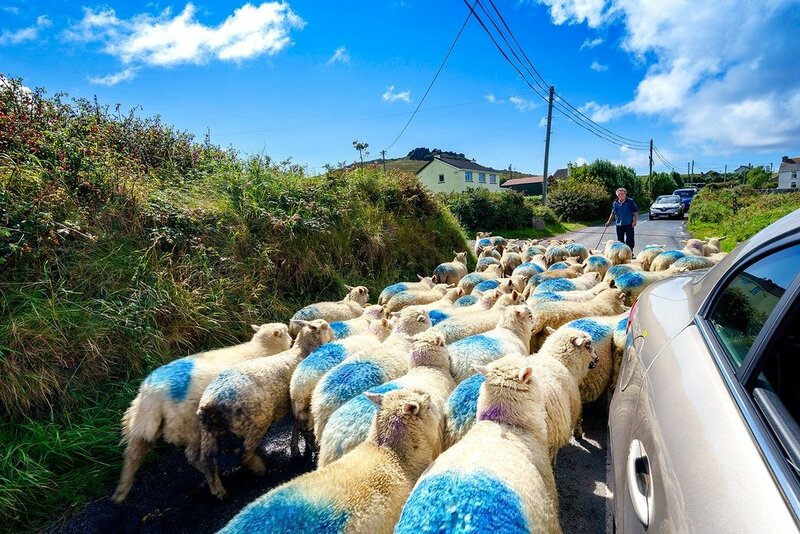 Driving in Ireland can take some getting used to! The back roads are super narrow with no shoulder to pull off on, locals drive fast, curves are sharp, and sheep are plentiful. But by the 3rd or 4th day I started to get the hang of it. A good trick is to buy the “learner” sticker sold at gas stations so locals don’t get pissed at your incompetence on their roads. 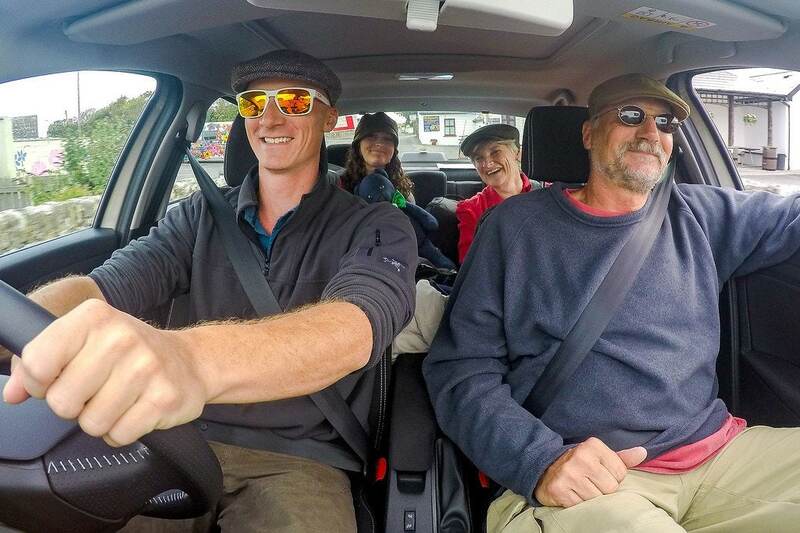 Overall I’d say our Irish genealogy road trip was a success. 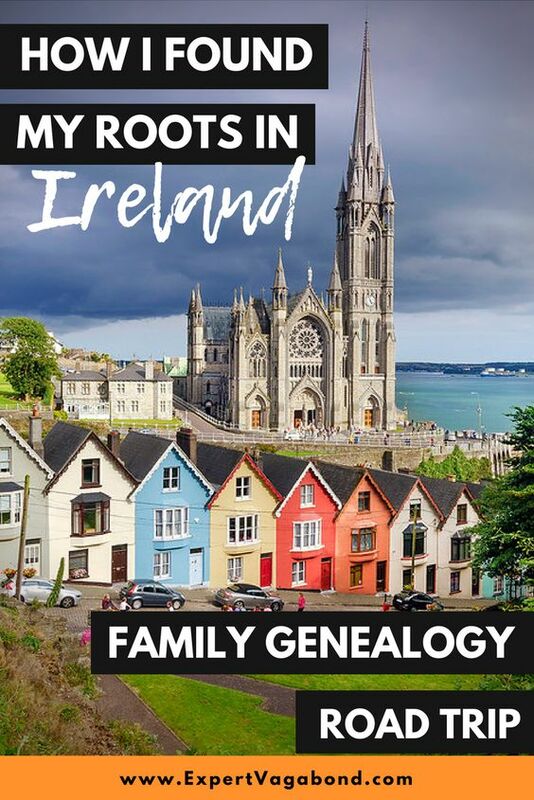 Together we teamed up to track down relatives, learn about our heritage, and experience a little Irish culture, food, drink, and hospitality. Have you ever been on a family genealogy trip before? Do you want to? Drop me a message in the comments below!